We don’t just perform at wedding receptions! We are also asked to perform at business events, university graduation balls and engagement parties. 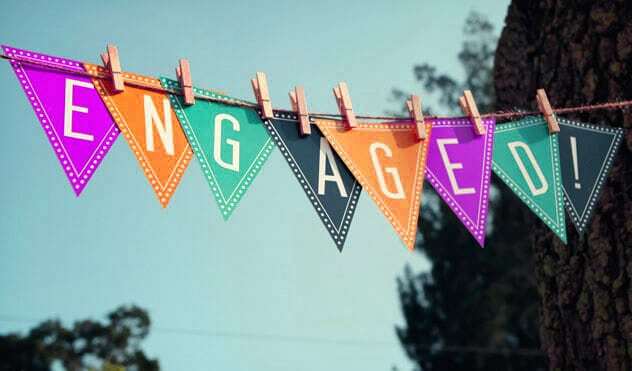 OK, so an engagement party is almost the same as a wedding reception, but not quite. We always think that you must be really happy with each other if you choose to celebrate your engagement by hiring a live band. When Steve and Julie first enquired about hiring us to perform at a small venue in Bristol, they were concerned about hiring a band that would be a cut above local pub bands. Of course, there’s nothing wrong with amateur bands if you’re organising a social event, but if you’re looking to plan a party to celebrate either your engagement or wedding, then it makes sense to hire a professional band such as HARD TO HANDLE. Unfortunately, many professional bands are simply out of the price range of most people. This because they market themselves primarily to businesses who can afford to pay their fees. The good news is that HARD TO HANDLE are different – we cater to the people looking to hire a live band for their wedding reception or engagement party. We’re much more cost effective than large events bands, and perfect for small to midsized functions. Steve told us: “It’s been a week now since the band played for Julie and I for our engagement party. I can remember our first conversation over the phone, when you explained the difference between a professional band and a pub band, I am glad I took your advice. If you’re looking to hire a band for your wedding reception or party this year, get your skates on – we have a few dates still available. If your big day is in 2014, it makes sense to plan ahead and give us a call on 0796 433 5657 to find out more about HARD TO HANDLE BAND. We look to hearing from you!